In every issue of Alphabet Soup magazine, you’ll meet an Australian writer or illustrator. 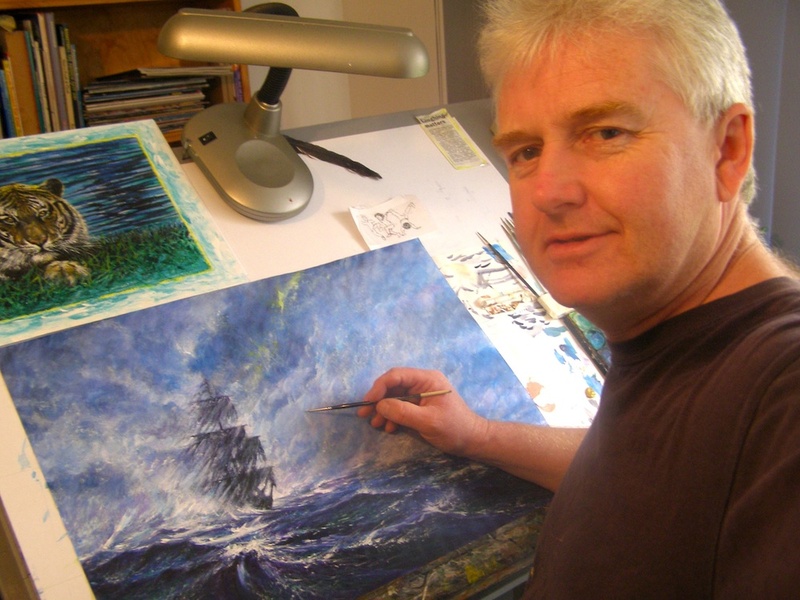 In the summer issue we talk to Mark Wilson who is an author AND an illustrator. It’s hard to fit the whole conversation in the magazine, so we’ve posted the whole interview here on the blog. Read on! I live in Frankston with Ros, my wife and our two dogs—Toby and Couta. (Silky terrier and a Shitsu Cross.) We have 7 fish in our pond, and lots of native birds visit as well. We live near the beach where I go for long walks when I get the chance. I have so many stories in my head! At the moment, I am obsessed with trying to save sea turtles and whales, and will be doing that forever. All are endangered thanks to plastic bags and coastal developments, amongst many other things. Also anything about Australian history inspires me. The explorers and pioneers were so brave and determined to do what they did! How did you come to be a writer and illustrator? All I ever wanted to be was an artist, or a fighter pilot or an architect. I was terrible at maths, so the last two were out! I loved telling stories in pictures when I was little, and still do. Always loved just drawing things! It was very good luck! I had a weird collection of surrealistic black and white drawings and applied for an illustrator’s job on Pursuit Magazine in Melbourne. I got it—my first illustrations were pretty strange too! Does the story influence your choice of materials? Never. I use everything from a pencil to house paint, including derwents, ink sand, dirt, feathers etc. Lots of pencil drawing go straight into my books. When you are creating your own books, which comes first—the artwork or the story text? Usually the pictures, then I make up a story around them. Lately I have been writing stories first, which is strange for me. An idea can also come from a photograph, an article in a newspaper, or something someone said. I write everything down and then it might pop up as a part of a story. 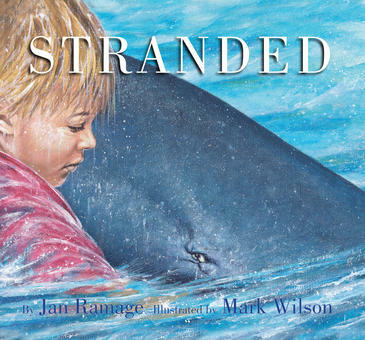 When you are illustrating a book written by someone else, do you discuss the story and illustrations with them? Always. I love to hear an author’s ideas and they often see things that I wouldn’t see. 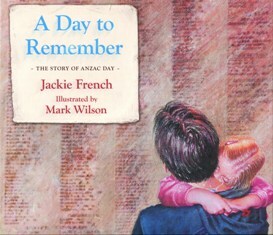 Gary Crew was great for illustration ideas, and Jackie French had some wonderful ideas for A Day to Remember, and I used them in the illustrations too! I am working on a book about the Vietnam War that is the 3rd book in the Children in War Trilogy. (The other books in the series are My Mother’s Eyes and Angel of Kokoda). It will be out early next year. 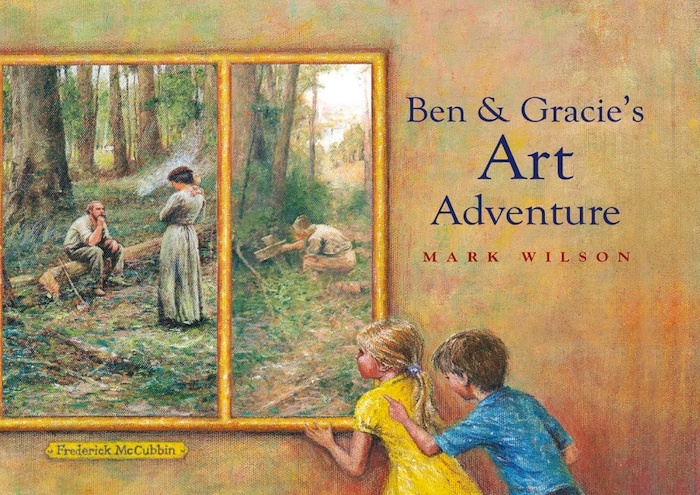 There is also a new Ben and Gracie’s Art Adventure book underway! Do you have any advice for young writers and artists? Write everything down. Keep a journal and make notes for your stories in it. Observations, quotes, discussions, interesting things—write them all down. Writing takes practise, so keep writing; stories, poems, song lyrics, anything and everything. Talk to your grandma and grandpa—discover the stories in your own family, there are so many! I love singing in my blues band, playing drums and reading books about the Romans, Vikings and history in general. Is your writing influenced by any writers in particular? The Australian Impressionist painters Frederick McCubbin and Arthur Streeton are my favoutites. I am also inspired by the French Impressionist Monet, and Australian Illustrators Robert Ingpen and Shaun Tan. You can tell I’m a bit of a melting pot, but the Australian Impressionists painters mainly. I particularly love children’s paintings. They use really fresh colours and simple shapes. I am trying to get back to doing that myself! Check out Mark Wilson’s website to learn more about him and his books. Previous Post Summer 2012 issue – coming to your letter box this week! Thanks for stopping by! I’ll pass your questions and email address on to Mark Wilson.